Kanye and the illuminati are up to their dirty old tricks again, and this time it's a wife swap of epic proportions. 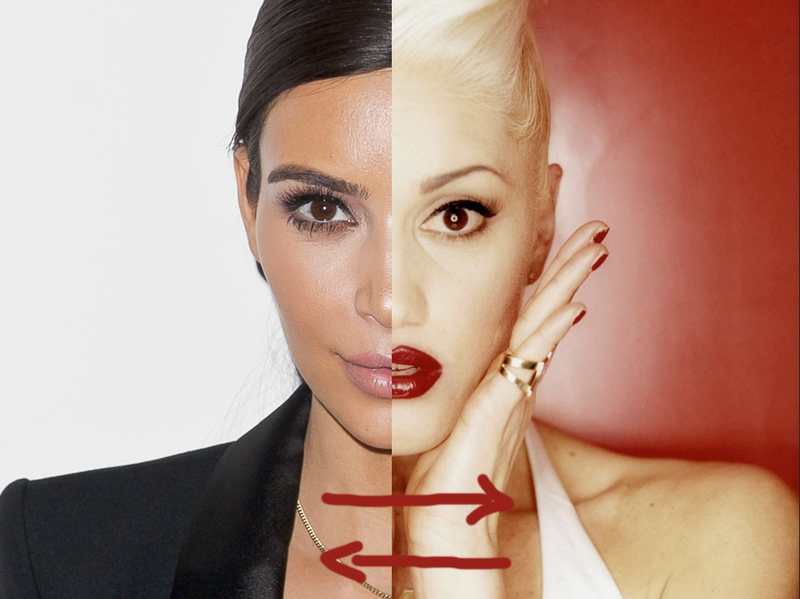 Kim Kardashian: noted lady who has a game and is married to Kanye, is being swapped with Gwen Stefani: noted bindi-wearing alien who makes pop music. I present to you all, the evidence. Gwen Stefani suddenly stops hanging out with Asian people and hangs out with Pharrell — noted friend of Kanye — instead. And her husband: That-guy-from-that-Grunge-band-in-the-90s is nowhere in sight. The evidence is damning. There is no other possible explanation. Next time we will unearth how Jared Leto is actually Karl Lagerfeld in disguise. ETA it took more than 10 tries to post this. Which, in itself, is a conspiracy theory. THE TRUTH IS OUT THERE PEOPLE. AND YOU CAN'T STOP IT.